Golf shoes are much more important than you might realize. I can remember when I used to play in tennis shoes, thinking that it didn’t make a difference. Then, after a couple of partial slips on golf shots when the course was a little wet, I knew it was time to get a pair of golf shoes. When it comes to picking the best pair of golf shoes for you, there are a few things to think about. Appearance: That’s right. No one is going to buy a pair of golf shoes that doesn’t look good to them. Design: Do you want spikes or not? What type of conditions do you typically play in? If you play in wet conditions, I would recommend spikes. Is your swing very aggressive? If you use the ground for a lot of your power, spikes are very important so that you can keep your ground. Do you care more about comfort? I would too if I were walking more often, so you might want a more comfortable spikeless golf shoe. Budget: How much are you willing to spend? If you are on a tight budget, I would stick to a couple different Adidas models. 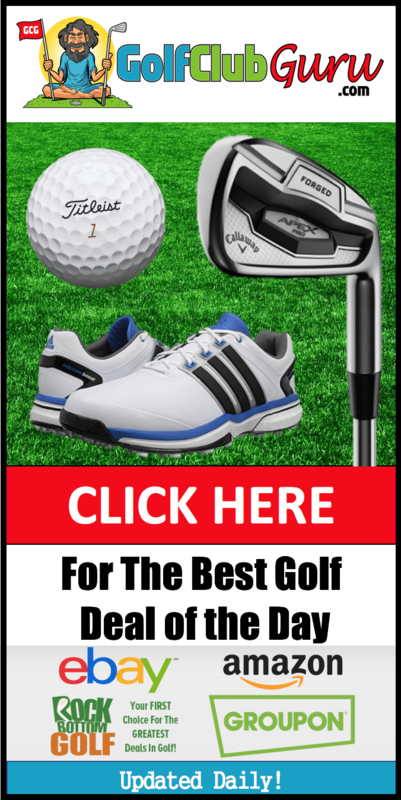 If you are looking for the best quality shoe, I would look at a few different Footjoy models and find the one that fits your needs the best. The Footjoy DNA 2.o golf shoes are a thing of beauty. In my opinion, they are the best combination of style, comfort, and performance. On top of that, their customer service is impeccable. If the shoes are not exactly what you expected, they will make it right quickly and professionally. I wouldn’t worry, however, because their quality is consistently top notch. Available in many different color combinations, I am a big fan of the white/red and white/blue variations. The Boa (laceless) version is also becoming very popular. You can’t go wrong with the Footjoy DNA 2.0’s. If you typically walk instead of ride, you will find these shoes are incredible comfortable after being broken in. The main benefit of this golf shoe is just the incredibly professional appearance they give off. Footjoy is a brand that makes you feel like a golfer when you wear it. 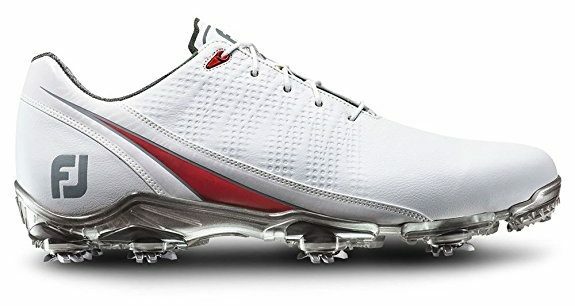 I know you shouldn’t worry about what people think of you, but if you want someone to take you seriously in golf, it wouldn’t hurt to be wearing some Footjoy shoes. 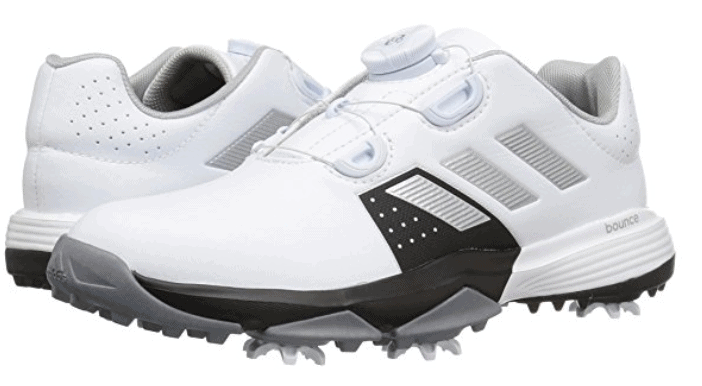 Adidas golf shoes have gone under radar for a couple of years now. The Adidas Adipower Boost shoes provide a great looking, comfortable shoe at an incredible price. 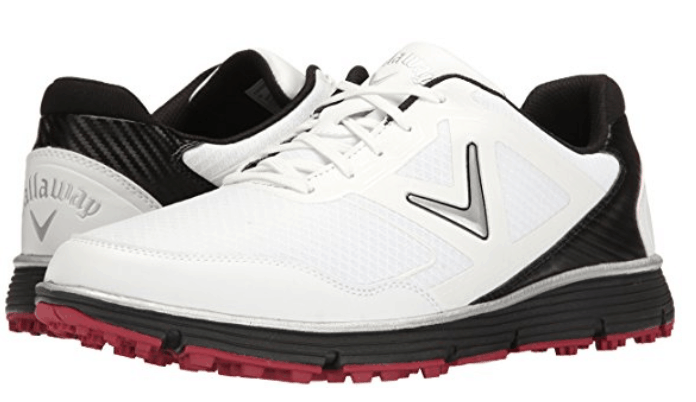 Overall, I would say it is the best value golf shoe you could buy. 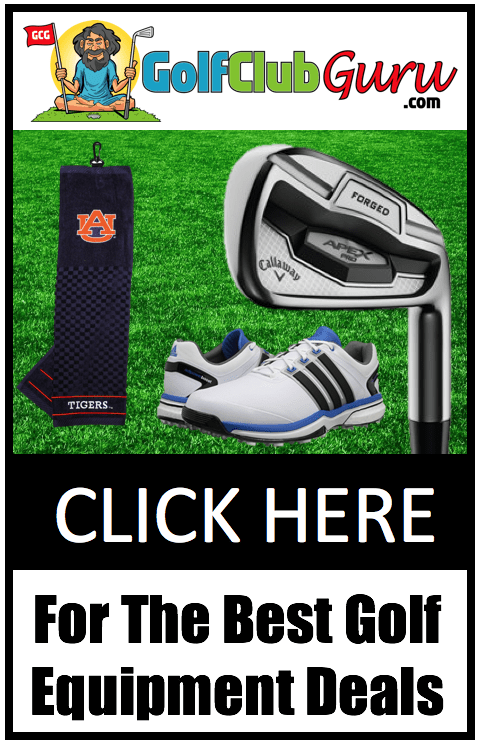 For far less than the Footjoy shoes listed above, you’ll a shoe that provides many different styles, looked very professional, and will provide great support for many years. My favorite thing about this shoe is that it is incredible easy to clean. Other shoes have a lot of crevices and fabrics that are very difficult to clean. These shoes, however, don’t have any of those fabrics, leading to a very easy shoe to keep looking sparkling clean. The Callaway Balboa golf shoes are my top pick for the best spikeless golf shoe on the market. At a great price, these shoes provide a lot of comfort. 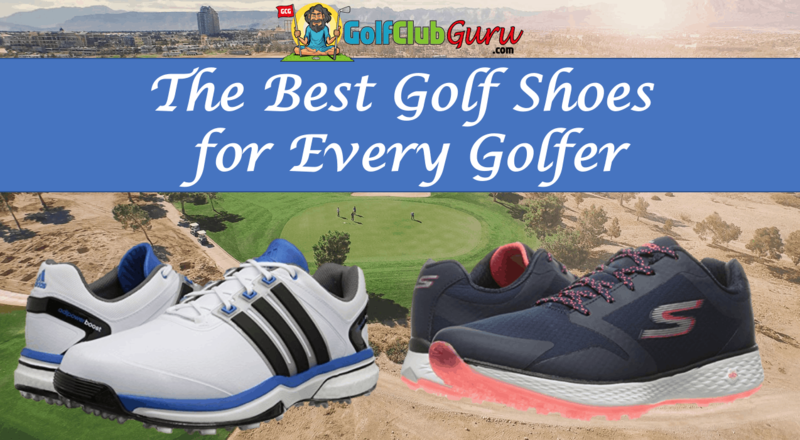 They feel very similar to just playing in tennis shoes, but their soles provide a little more foundation for you to really unwind and not slip during your golf shots. 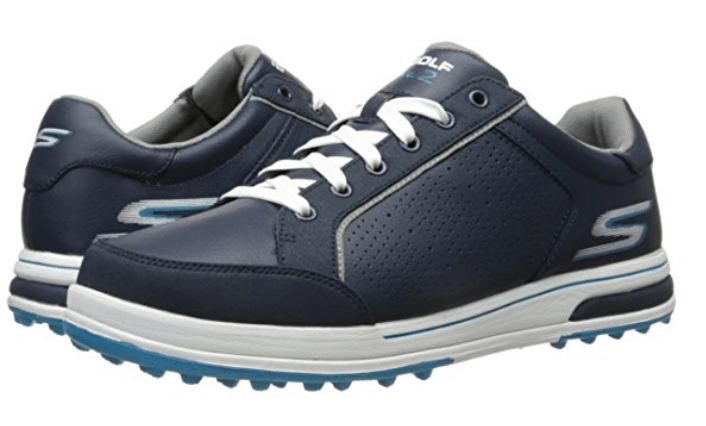 The Go Golf Drive 2 Golf shoes was Sketcher’s attempt to make the most comfortable golf shoe on the market, and they did just that. I tried these on at Dicks Sporting Goods, and I can honestly say that I have never felt any golf shoe half as comfortable as this one. The one downside is that I don’t think they would be good for someone that generates a lot of clubhead speed (110 mph+). However, that means these shoes work great for 99% of golfers. Honestly, I think that these shoes should be way more popular than they are. If you are a walker, I would go as far as to say these are a must! You won’t know what they feel like until you try them. I would even recommend that you try them on at a local store if you want to try to them out. 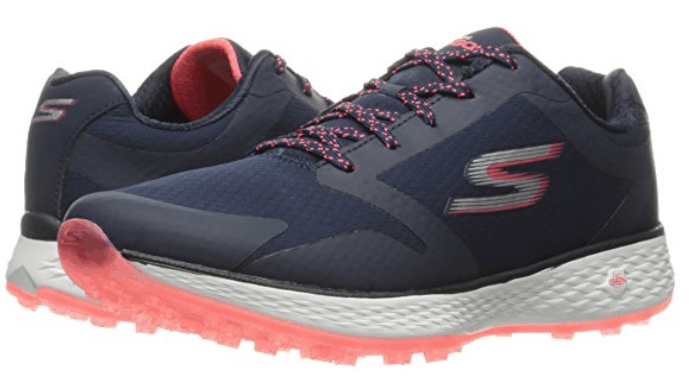 If you are looking for a slightly more classic design, without giving up much comfortability, I would look at the Sketchers Go Golf Elite 2 Golf Shoe. Very similar model, but more slick looking! If you are looking for laceless golf shoes, I don’t blame you. I’ve often wondered why laces are still so the norm, when in reality there are much better ways. 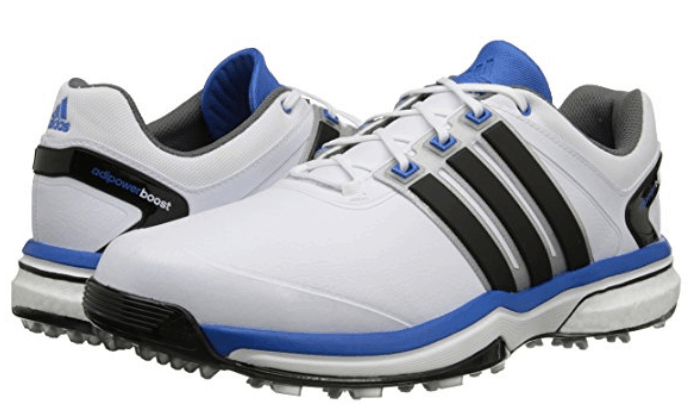 I would recommend the Powerband Boa Boost golf shoes from Adidas. This is the best value Boa shoe on the market, and the reviews have even been much better its more expensive competitors. The adjustability on the tightest of the fit is incredible. You can easily and quickly dial in exactly the feel you are looking for. The cushioned insole make it a very comfortable shoe as well, albeit not as comfortable as the Sketchers Go Drive 2 shoes. ECCO is a great golf shoe brand. It is their only focus, and they have mastered their shoes over the years. 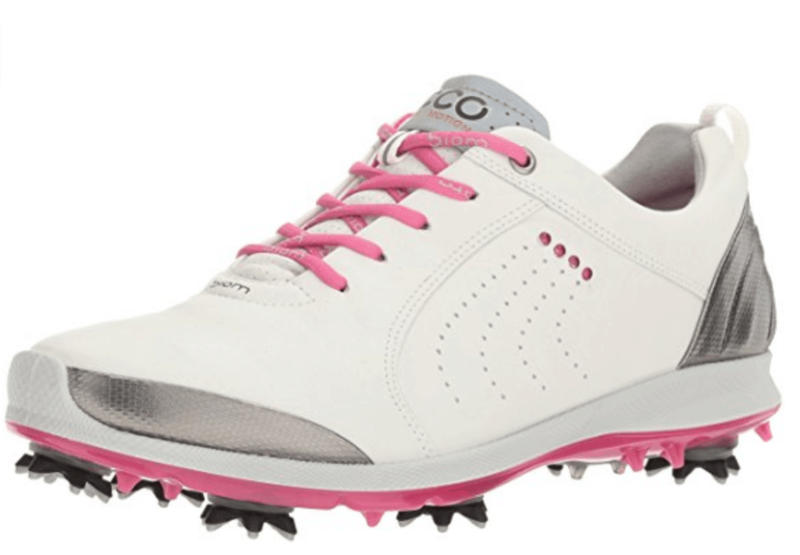 They are the perfect mix of durability, comfort, and performance for women who take their golf very seriously. Although they are a little more expensive than the Sketches shoes below, the ECCO Biom golf shoes will last a very long time and will provide a little more support for those that swing a bit more aggressively. If you are looking for a lower budget and slightly more comfortable shoe, stick with the Sketchers Go Golf shoes. They are extremely comfortable, just like the men’s version mentioned above. Although they won’t provide a ton of support into the ground during your swing, you should be fine unless you have a very fast club head speed and use the ground a lot for your swing. These golf shoes are incredible popular amongst young golfers, and for good reason. Kids love the Boa/laceless shoes, as they are quick and easy to tighten up. They also love showing them off to their friends! 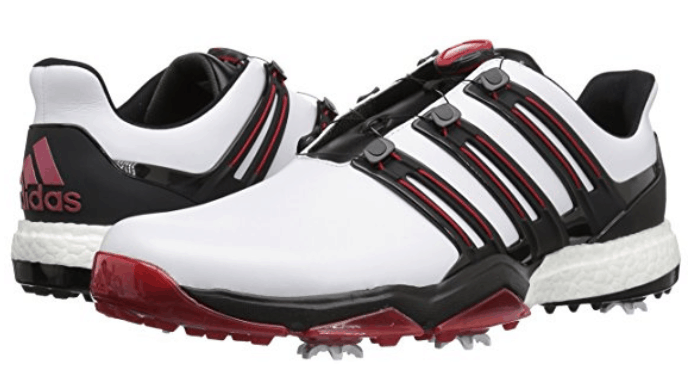 Aside from the cool factor, the Adidas Jr. Adipower Boa shoes are extremely well made and sold at a decent price for golf shoes. Don’t have enough money to buy new shoes, but want a more comfortable feeling shoe? 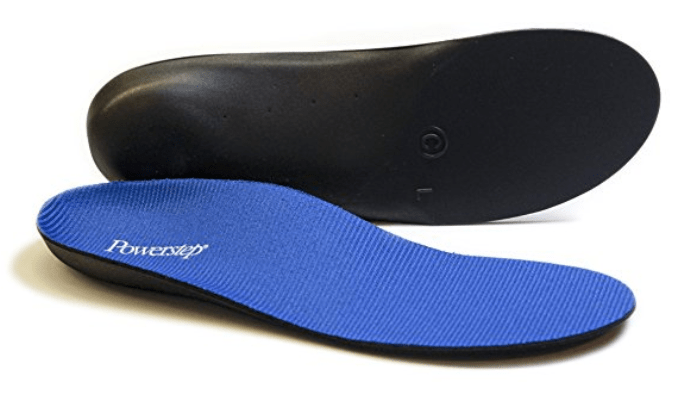 No question about it, you need the Powerstep Original Full Length Orthotic Shoe Insoles. I’ve been using them for years, and I just recently replaced them to get that brand new feel again. This is by far the best thing you can do to increase the comfortableness of your golf shoes. Hey there! I simply would like to offer you a big thumbs up for your excellent information you have here on this post. I’ll be coming back to your website for more soon.